This e- learning reviewer is for National Achievement Test for 4th Year High School Students. 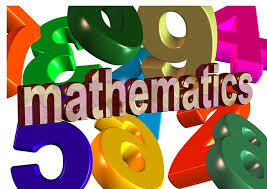 The questions were designed to test one’s knowledge amd mastery in Mathematics. The competencies and questions were aligned to the k-12 curriculum. The questions in this reviewer were patterned from the textbooks and some from the compilation of Mathematics reviewer. This simple test was designed to help you in your upcoming National Achievement Test in Mathematics. I hope this will serve as an aid while you are getting ready for the test. Enjoy and goodluck! Praise be Jesus Christ! 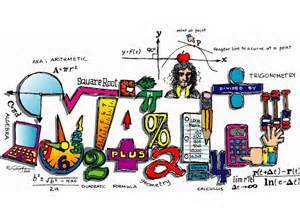 This free online NAT Reviewer: Math (Skip Counting, Odd, Even, Ordinal Numbers, etc.) for National Achievement Test (mainly for Grade 3) and other exams or quizzes is in e-learning, automated fun quiz game format. TO STUDENTS: If this reviewer is assigned to you by your teacher/school, do NOT FORGET to print screen the result, print the file, and submit to your teacher/school authority. NOTE: To have an ACCESS to this e-learning material, just CLICK the FB LIKE button above (If you have not clicked yet). TO SHARE: Use the SHARE BUTTON below to share it to your Facebook, Twitter, etc. This free online NAT Reviewer: Math--Place Value, Comparing (Greater/Lesser), Ascending, Descending, etc. for National Achievement Test (mainly for Grade 3) and other exams or quizzes is in e-learning, automated fun quiz game format. This is an Automated Math Reviewer for grade 3 students. These includes rounding of numbers, telling time, problem solving, place value of number, decimals, fractions, percentage, money conversion, and basic addition, subration, multiflication, and division suited for grade 3 students.. This reviewer aims to review and test the student ability in solving math problems that they might encountered in taking the National Achievement Test. This free online "NAT Reviewer: MATH" (Basic Concepts, Word Form, Expanded Form, Standard Form) for National Achievement Test (mainly for Grade 3) and other exams or quizzes is in e-learning, automated fun quiz game format. This free online "NAT Reviewer: MATH" (Basic Multiplication) for National Achievement Test (mainly for Grade 3) and other exams or quizzes is in e-learning, automated fun quiz game format. How much do you know about basic multiplication? Try this automated fun quiz game and interestingly learn and master the multiplication table by taking this e-learning game.